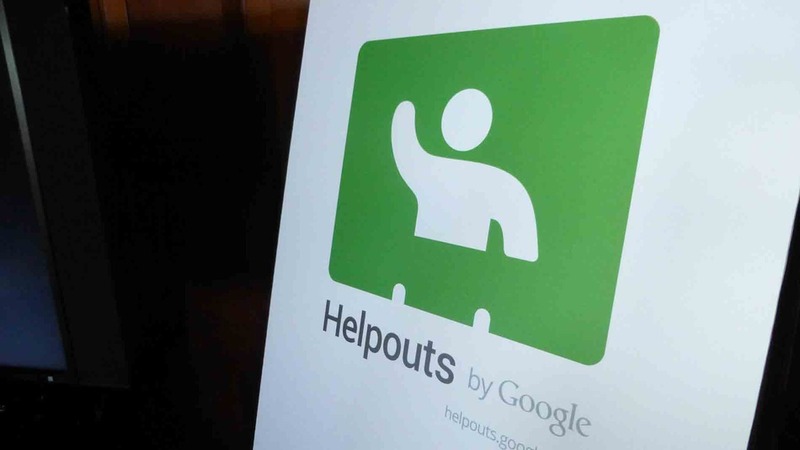 Due to the fact that Google’s Helpouts service is failing to grow as quickly and consistently as the company had hoped it would, Google has announced that it will be officially shutting the service down this April. The scheduled shut-down date of the Google Helpouts video tutorial service is officially set for April 20th, 2015. The primary purpose of the Google Helpouts service is to connect users who are in need of help to experts who can offer them that help via a live video-streaming session. No further Google Helpouts video tutorial sessions will be available to set up after April 19th, 2015. Users of the Google Helpouts service will still be able to download their video history via Google Takeout service. The option to download will be made available to users until Novemebr 1st, 2015. After April 20, Google Helpouts will still let you download your video history through the Google Takeout service. The download option will be available until November 1, 2015. The Google Helpouts service was originally launched on November 4th of 2013. At the time of its launch, there were a number of partners onboard: One Medical, Sephora, Weight Waters, and Redbeacon and Rosetta Stone. Users of the Helpouts service have the ability to share their computer screens and also work together with experts on presentations. If any Google Helpouts users were ever dissatisfied with their live video chat session with an expert, they were offered a full money back guarantee. The experts affiliated with the Google Helpouts service offer video tutorials on a broad array of subjects and topics. Some of these subjects include: music, cooking, art, computers fashion, education, beauty, careers, legal, nutrition, health, gardening and home improvement. Some of the video tutorials were actually available at no cost with the hopes that it would result in paid consultations in the future. However, a lot of contributors wanted payment up front. Google received 20% transaction fees from all of the Helpouts paid video tutorial sessions, except for the ones that were health-related. The Google Helpouts mobile app has already been removed from Apple iTunes and the Google Play Store. The app gave users the ability to participate in the video chat sessions via their mobile devices. Google Helpouts was dependent upon Google Hangouts video service in order to be able to set up the video chat sessions between the users of the service and the experts. It has been reported that Google is currently working on a new video customer support service for consumers that need assistance with purchasing a Chrome- and or Android-based device. The customer service agents will most likely listen to a potential customer’s specifications of the device they are looking for and then recommend a certain device that fits those specifications.